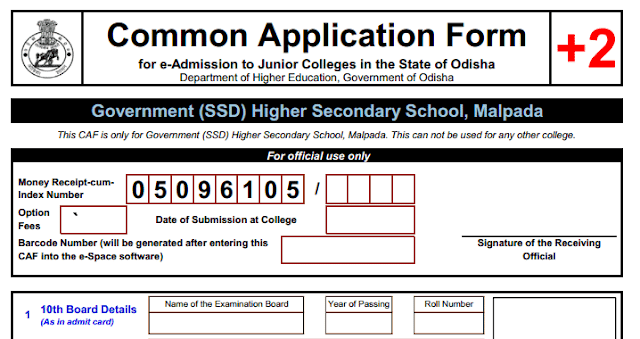 The Common Application Form (CAF) for e-Admission into Government(SSD) Higher Secondary School, Malpada, under the offline mode is available for Download here, at dheorissa.in. Click the Image below t Download the Offline Application Form . Remember this Common Application Form (CAF) is only for for the Government (SSD) Higher Secondary School, Malpada . This can not be used for any other college.